Many people fear the kettle bell. The uncertainty and fear of them makes them one of the most passed over gym tool. The benefits and ease of working with kettle bells are outstanding and really quite simple. 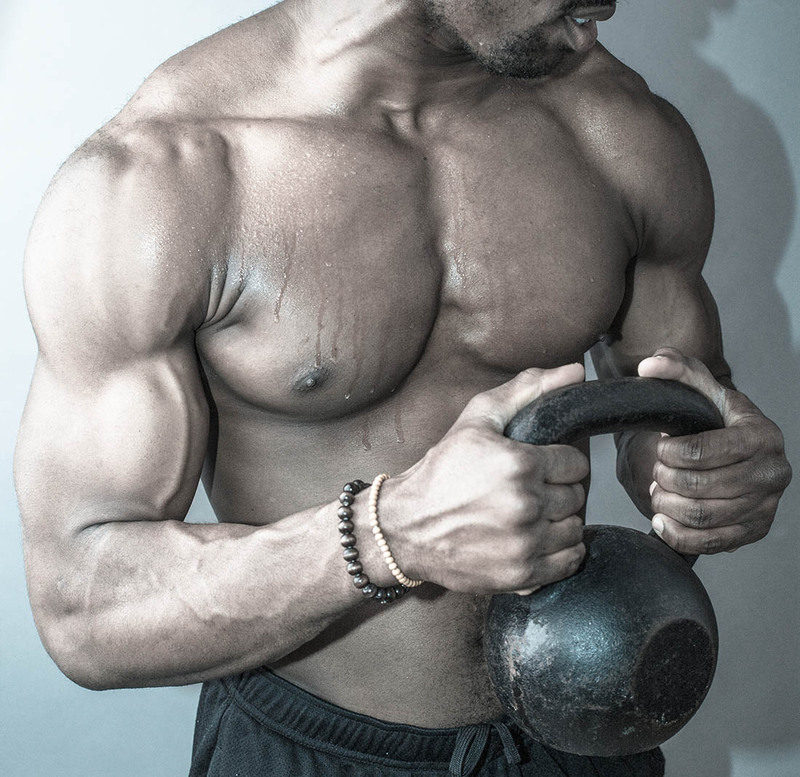 To help you understand kettle bells and why you should consider working with them I have called upon Ottawa’s Kettle Bell ‘Guru’; Ben Johnson, Fitness Professional – FKA, YTU, KBTS3, Biosignature Analysis. So we’ve all seen kettlebells at the local gym. When I was new to training I definitely failed to appreciate the power and diversity the kettlebell offers. I just didn’t get it – kb’s seemed awkward, I’d mess around with one but generally I stuck with what I knew, familiar machines, dumbbells, barbells and cardio. It was almost two years into my career when I grasped the special place the kettlebell holds in the halls of fitness history and the advantages it could bring to my clients and I.
Kettlebells originated in18th century Russia, first as a way to weigh goods. Back then farmers began to play with those old iron bells, developing their strength and skills in their spare time. Soon after it was circus strongmen – the original pioneers of modern fitness culture – using kettlebells to demonstrate their incredible strength. These pre-industrial athletes would swing, press and juggle massive bells, awing crowds with their abilities. Those traditions became Girevoy sport, an Eastern European sport that showcased competitors amazing strength and endurance. It’s no wonder that some of the world’s strongest people are descendants of this steely tradition. Kettlebells may be a little misunderstood, but trust me when I tell you, if you take the time to incorporate kettlebell training into your fitness routine, you will be happy that you did! I do the bulk of my work as a fitness professional assessing clients and designing exercise solutions that match their needs and goals, and the kettlebell has become a staple of my practice. For millennia human beings moved in three dimensions, climbing, carrying, twisting, moving dynamically and explosively. We see these kinds of movement still preserved in martial arts and dance. It’s no surprise to me that many of my clients these days deal similar injuries and limitations. We find ourselves sitting at our desks, in cars, on our couches, in front of our computers and hunching in front our phones and tablets. With hips getting tight, lower backs getting sore, hamstring getting short, our shoulders and heads slanting forward, we take these front-to-back compensations to the gym and bench press, squat, and run on the treadmill. We’re stuck on the sagittal plane! And we’re paying for it. 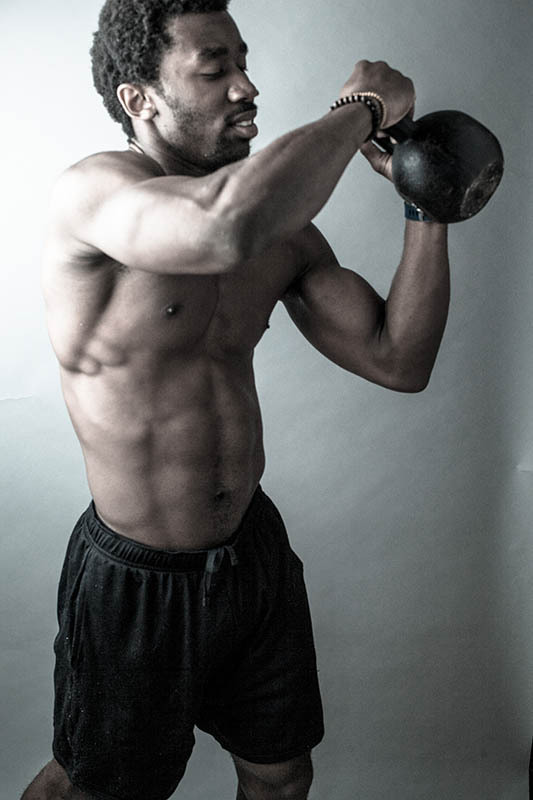 Kettlebells are specifically designed to promote dynamic, three dimensional movement! Kettlebells help transfer elastic energy through the body, helping adapt ligaments, tendons and bones to strength training in ways that dumbbells and machines simply cannot. KB training can help lengthen and strengthen muscles. The movements can be tweaked to promote strength, speed or endurance. Kettlebells allow for the use of momentum, typically a no-no in strength training, causing your body to adapt as an athletic system rather than the more common muscle by muscle approach. No matter what your goals or experience level, I’m confidant that intelligent kettlebell training can be a difference maker for you. - This technique has a ton of fun variations. Two hands, one hand, single leg, overhead, whatever works. Nothing builds the hamstrings, glutes, upper and lower back and grip strength like this kettlebell staple. - All the benefits of the deadlift but with amazing advantages for the obliques, important lower back muscles like QL (quadratus lumborum) and killer shoulder strength and stability. The KB Windmill powers up your lateral line muscles. Again, with variations to make it easier or harder this technique has become a core feature for clients looking to turn their weaknesses into a major strength. - The ultimate expression of strength! The Turkish Getup is a multi-dimensional, boulder-shoulder building, core crushing technique. It can seem intimidating at first but with the help of a certified instructor you can add the mother of all lifts to your game. If you’ve ever wondered how Ivan Drago from Rocky IV got his body I’d bet good money the Turkish Get Up had something to do with it. Ben works as a fitness pro and a consultant to gyms, offices, teams and individuals around the city but can regularly be found teaching at N1 Thai Boxing and Fitness Academy on Preston St. He can be reached by email at bechangeben@gmail.com or stop by 401 Preston St, Ottawa to catch one of his classes.